Your little one’s skin is delicate and choosing the best baby shampoo is essential to make sure that your baby doesn’t get any irritation. It seems like a simple task but there are so many baby products out there that it can sometimes become more complicated than it is. Don’t worry because this guide will help you pick one that’s just perfect for him. Babycentre has detailed some tips when choosing baby products in general, not just for shampoos. It’s always good to be well-informed before shopping for any item for your child. We’ve chosen the ones that are of the highest quality and gentlest formulas, but still comes with a great value for your money. When it comes to shopping for your special angel, these cannot be compromised. 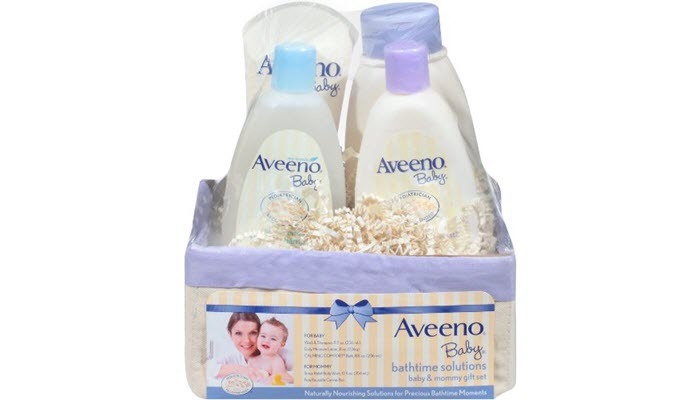 Aveeno’s baby shampoo is pediatrician recommended and we highly recommend Aveeno Baby Daily Bathtime Solutions Gift Set, which also comes with baby wash. It’s a great value and certified safe for you child. The gentle solution and calming properties make it perfect for both baby and mommy. It uses natural ingredients, with oat which is recommended by dermatologists. It protects your baby’s skin while maintaining moisture, and restores skin’s pH level to normal. This is especially great if your baby has a bit of dry skin because it relieves itching and irritation. Puracy Natural Baby Shampoo and Body Wash is our next choice. This pack also includes a body wash, both tested tear free. It provides a lot of moisture and features Coco Glycinate, a gentle coconut-based cleanser. The shampoo’s ingredient includes Himalayan Pink Salt which gently hydrates your baby’s skin. The formula is plant and mineral-based so it’s free from chemicals and hypoallergenic. The 3-in-1 Baby Shampoo Bubble Bath and Body Wash – 16 oz (2 pack)- By Lil Leona has also been tested tear-free. It’s gentle and is safe to use for the face. It’s a three-in-one solution so bath times are fun and hassle-free. It has no harsh chemicals, no phosphate or sulfate, and it’s gluten-free. It’s ideal for newborns but can also be used for toddlers. 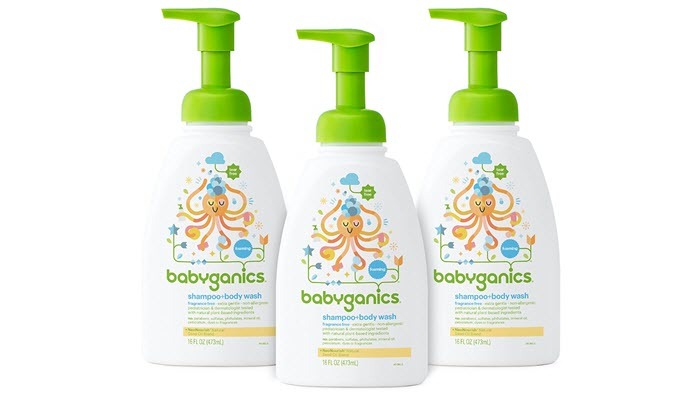 Another great alternative is the Babyganics Baby Shampoo and Body Wash, Fragrance Free, 3 Pack. It’s non-allergenic and extra gentle on the skin. This is a little bit more pricey but the pack comes with three bottles so it’s still a good value. It’s free from sulfate, artificial fragrances, or dye. A unique thing about this baby shampoo is that it uses a blend of NeoNourish Seed Oil that is 100% natural which helps nurture your baby’s skin. It gently cleanses from head to toe, leaving your baby’s skin soft and healthy. 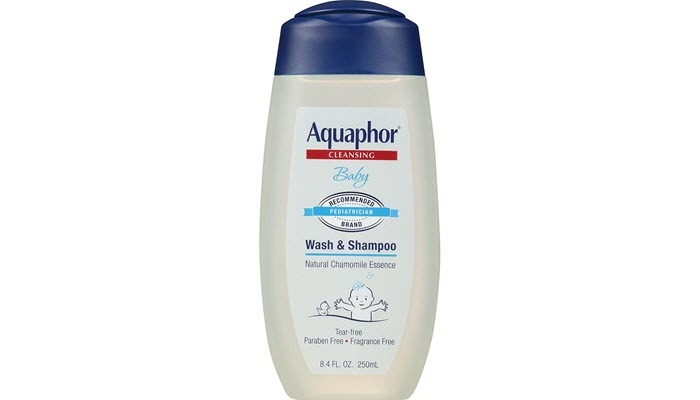 Aquaphor Baby Wash & Shampoo 8.4 fl. oz. (Pack of 3) is a great alternative. 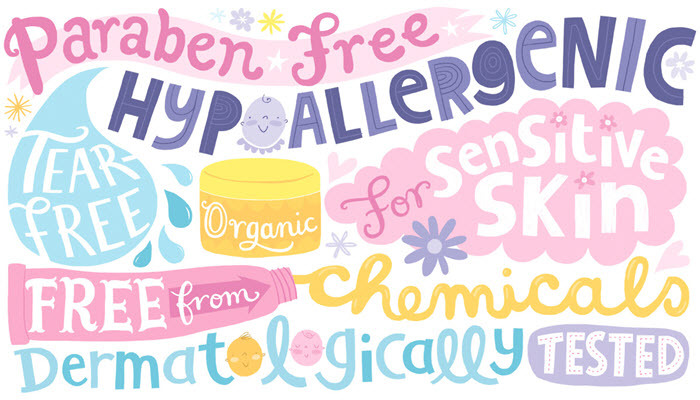 It has the essence of chamomile and is Panthenol enriched to soothe baby’s skin. It’s also recommended by pediatricians and has a mild tear-free formula. It gently cleanses your baby’s scalp and skin without causing it to dry. 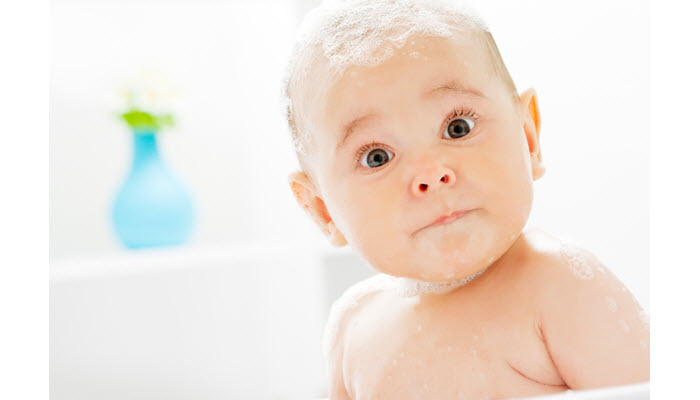 When choosing the best baby shampoo for your little one, here are some considerations. Don’t just grab the bottle that’s labeled “gentle” because there are other things to keep in mind. There are various brands so you need to pick one that you can trust. 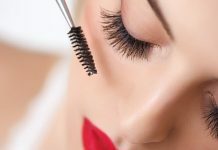 Chemicals are harmful especially to sensitive skin. Make sure that you don’t expose your baby’s delicate skin to these. Choose one that is free from sulfate, artificial fragrances, and mineral oil. Even petroleum should be avoided. It’s tempting to buy one just because it has a great smell but perfumes can be really harmful and could greatly irritate the skin. To have a better idea of what to avoid, take a look at these 7 chemicals and toxins to avoid when buying baby products. It’s best to stick to baby shampoos that use natural ingredients. You can find ones that use natural oils to keep your baby’s skin moisturized. Keep away from synthetic substances because they could cause serious damage to your child’s health. 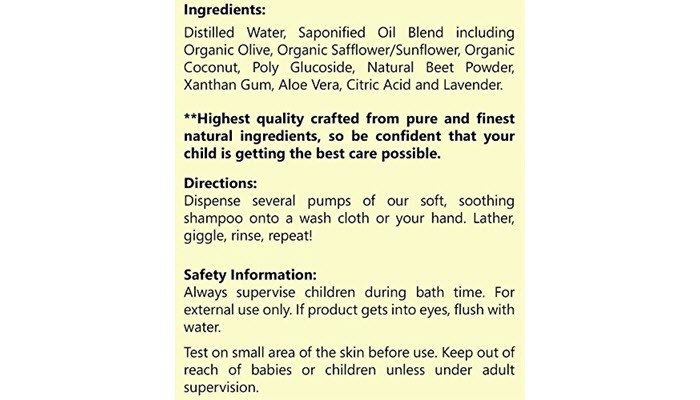 Specially for infants or if you’re aware that your child has allergies, check if the baby shampoo is hypoallergenic. The pH level determines how acidic the baby shampoo is. This is particularly important for infants because their skin is much more sensitive. A low pH level makes the substance more acidic while higher levels make it alkaline. You need to choose one that is perfectly balanced so check the label and choose a baby shampoo that is pH neutral. Another major substance to keep away from is alcohol. Though safe for adult soaps and shampoos, it’s not for babies. It could immensely dry their skin and irritate them. 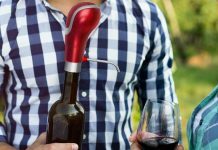 Alcohol could also trigger adverse reactions. Some of these products come with additional calming ingredients, infused with essential oils. This is great so that your baby feels relaxed during their bath time and they would look forward to it rather than dread the routine. You may be wondering why a lot of these baby shampoo bottles have “tear-free” labels. This means that the shampoo uses gentle substances so that it will be safe to wash your baby’s face with. This way, your baby’s eyes don’t get irritated if it drips down from their hair. Basically, just stay away from harmful ingredients and you should be alright. You don’t need a lot of extra ingredients on your baby’s shampoo but make sure that it includes the essentials, and that they’re gentle and safe.